Have you ever thought that a species could completely transform its original shape and density? Well it's possible. Let's go to the fishermen's place and check it out! Head over straight until you see a small bridge on your left. Take it. From there, you will pass a restaurant called "Restoran Ketam Lembut". You will arrive at a mouth where crabs are stored in a ketam kolam which means crab pool. 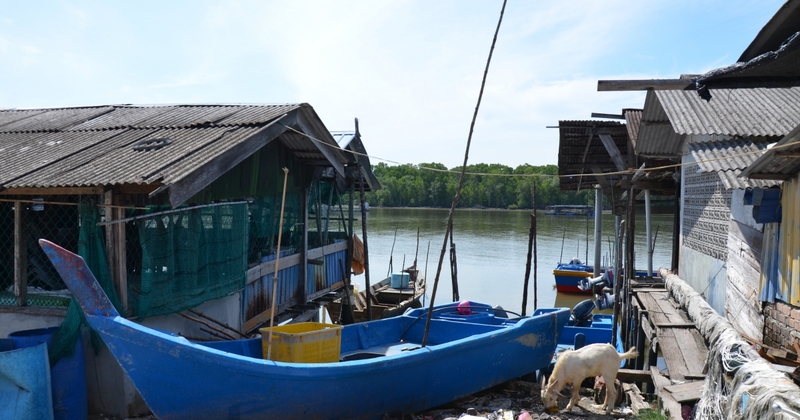 These crabs are placed in crates on this floating craft, and are fed daily with fish. In order to obtain a soft crab, you must follow a very specific process. First, they are firmly attached to each other placed in crates. Like this, when the fisherman catches them with his glove, he cuts their individual rope so as not to be pinched. He uses forceps to break the joints of the two main spines. The processus is quite cruel at the beginning, and it seems that the crab will pass away a few hours later. That's why the fisherman must do this very meticulously and precisely, otherwise the crab wont survive. Then he pinches the other three clamps and and pulls them off at once. It does the same for the other body part. Later, he will leave them in another box to feed them for a whole month. One month later, it seems that the crab is producing a special susbtance so that its soft shell come out. After a while, the crab is growing back its clamps, same size, and same shape, but all of them are soft! Thanks to the fisherman, we learned that if they kept them for more than a month, they can become bigger and take back their original hard shell! Yet, you will ask me "What's the real purpose of doing such a thing?" Actually, for the last 10 years, fishermen did not know what to do with their large amount of crabs. Thus came their idea to differentiate themselves from other crab sellers in order to obtain an extra money. Indeed, they decided to make the crabs softer, so that it will add an extra value to it. As a result, demand in the market is increasing over the years. Today, it is used even as a drug, because the substance that releases crabs to regenerate would have healing properties for the human bone system. This explains why their price is around 60 ringit per kilo, (cooked around 8ringit). Wheter it's about visiting the Wild Life Conservation Center, the birds sanctuart, or even take a rest while eating some nipah, all of this constitues an amazing asset. Why? Because you will not only feel like living in a vacuum, in another world, immune from the crowd, but also a place where you can feel the tradition of fishermen for generations. Later on, we are definitely considering coming out with a package for you guys. It is on these beneficent words that I leave you, hoping that you will have the opportunity to taste this original culinary specialty! 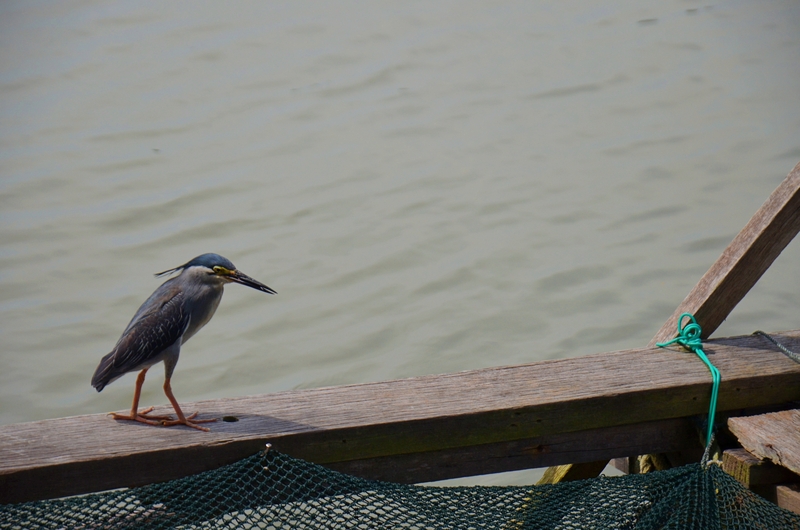 If you're lucky enough, some striated heron will come to you, desperatly trying to get some free crabs.